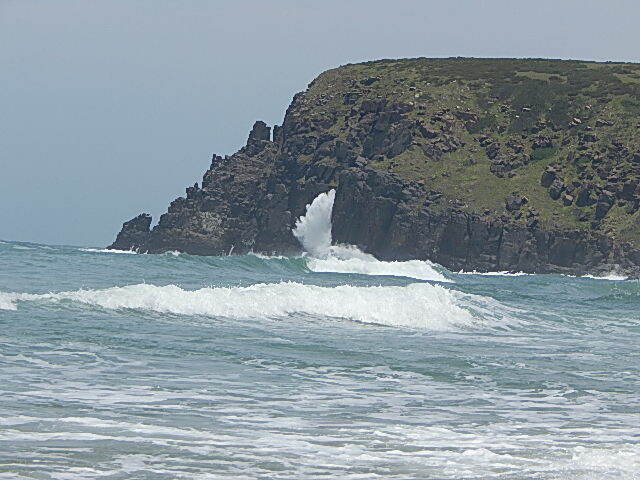 I began visiting the Wild Coast as a teenager in the 70s when we’d head off to Coffee Bay or Hole in The Wall for two weeks. No communication unless we could find a “tiekie box” but who wanted to call home anyway? We camped, dived, fished or surfed. And it was safe. Times change but Morgan Bay is still one of the Wild Coast’s many gems. The tarred road to Morgan Bay, about 80km from East London, is easily reached in a sedan. The bay was named after A.F. Morgan in 1852, captain of the Barracouta, a Royal Navy ship that surveyed the coast between Delagao Bay (Maputo) and the Keiskamma River. The Mitford Hotel – once a 1950s tea room called The Singing Kettle – provided a well-appointed, serviced apartment overlooking the ocean and cliffs. It comprised a kitchen, two en-suite bedrooms and an open-plan living area leading onto a balcony with a braai. There was a well-stocked pub and restaurant on the ground floor and the Mitford offered both self-catering and catered options. We chose to self-cater but had some satisfying meals in the restaurant. With wide open spaces, miles of beaches and the wild rocky coastline, visitors can go horse riding, mountain biking, hiking, fishing or just laze in the sun. We walked, rode to Kei Mouth, braaied, enjoyed good hospitality and just relaxed. 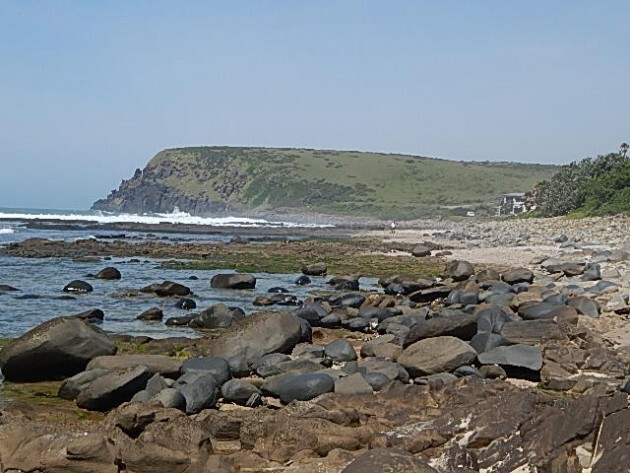 You can also visit Double Mouth, a few kilometres south of Morgan Bay, to hunt for Carnelian Beads. A Portugese trade ship, the Santo Ispiritu, laden with silks and porcelain from China and Carnelian beads from India floundered on the rocks near Double Mouth in 1608 and unique Carnelian beads can still be found along the shoreline. I can recommend the Mitford in Morgan’s Bay as a great family holiday that won’t break your bank balance.